(P1) Sir Richard Branson is an English businessman. He is the chairman of the Virgin Group, a group of companies including Virgin Atlantic Airways and Virgin Records. It also has more than 200 entertainment, media and travel companies around the world. According to Forbes magazine, Branson was the 281st richest person in the world in 2014. He is worth about $4.9 billion and he even owns two private islands. (P2) Branson got bored and left school when he was 16 years old. He started a magazine for young people in 1966. He called it Student. The magazine was run by students, for students. It was so successful that it sold $8,000 worth of advertising in its first issue. He gave away the first 50,000 copies for free. A few years later, he started a business where people could buy and sell used records through the mail. It was called Virgin Records. (P3) In 1972, Branson built a recording studio in Oxfordshire, England. He started to record musicians and sell their records. He called the company Virgin Music. The first record he published was Tubular Bells by a school friend called Mike Oldfield. It became very popular after being used in the movie “The Exorcist” in 1973. After that, many more musicians came to work for Branson. Some of them became very famous. Virgin Music became one of the top six record companies in the world. 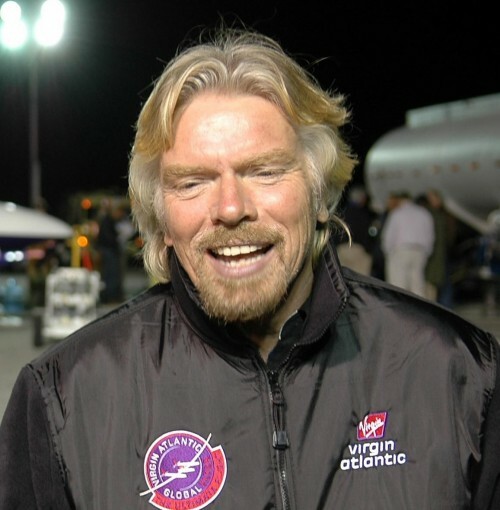 Why do you think Sir Richard Branson is so successful? Who are some other successful business people you know? Would you like to be worth as much as Sir Richard Branson? Why or why not? According to the article, what is the Virgin Group? What’s Mr. Branson’s value in USD? What’s the name of his record company? What’s the title of his first musical recording?